Austria is repatriating gold from the vaults at the Bank Of England (BOE) at this very moment, according to Kronen Zeitung. The OeNB (central bank of the Republic of Austria) stored 82 % of its 280 tonnes at the depository in England. It will start by bringing back 110 tonnes to Austria, to eventually have 50 % on own soil. 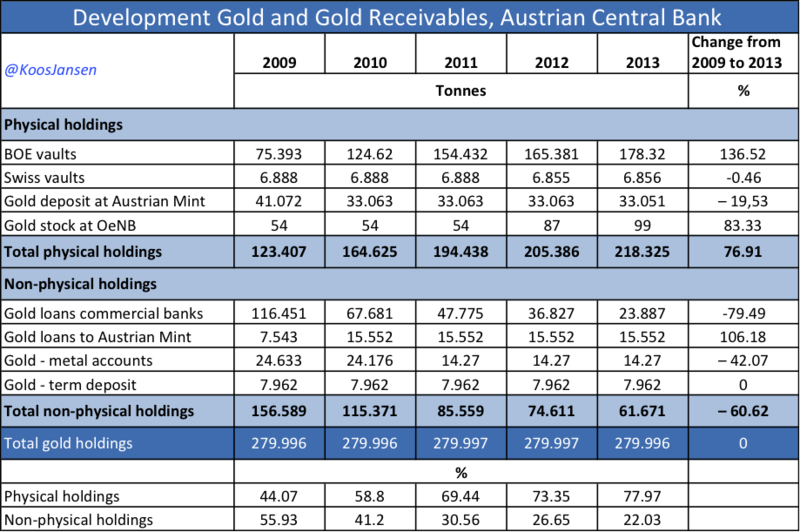 This was to be expected as Austria has steadily working to move more of its official gold reserves from unallocated to allocated accounts in recent years, and additionally reduced its gold leased out by a staggering 60 %. 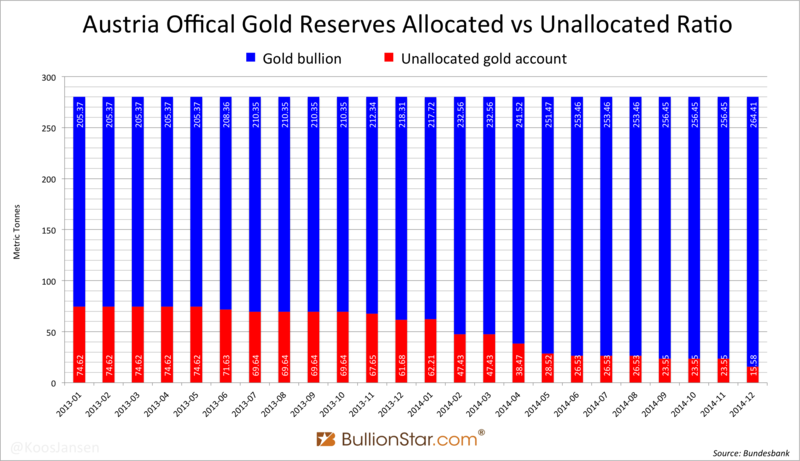 The chart above reaches to December 2014, when Austria only had 15.58 tonnes of unallocated gold versus 264.41 tonnes allocated – nearly fully allocated. In this chart we can see “Gold loans to commercial banks” dropped from 116.451 tonnes in 2009 to 23.887 in 2013, down 79.49 %. Total non-physical holdings dropped from 156.589 tonnes in 2009 to 61.671 in 2013, down 60.62 %. Austria has unwounded all leases and is working towards being fully allocated. The OeNB runs a high concentration risk. …The gold depository contract with the depository in England contained deficiencies. …The OeNB had no appropriate concept to perform audits of its gold reserves. …The lack of audit measures represented a gap in the internal control procedures of the OeNB. The OeNB started in March 2014 with the development of an ​​audit program, which included all the gold holdings of the OeNB. What European country will be next in the repatriating? Austria?